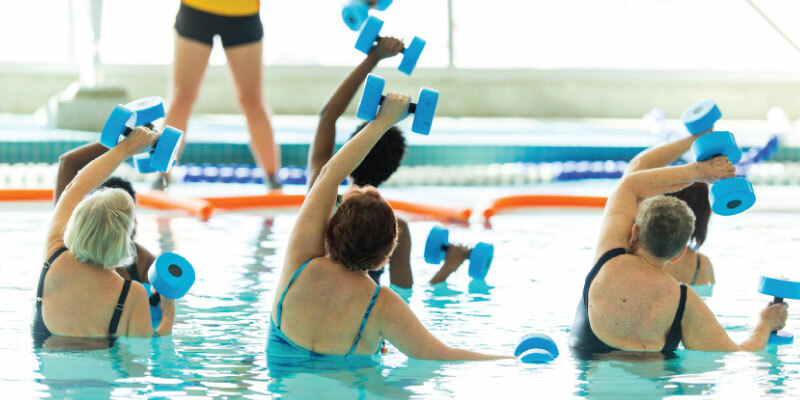 Aquatics classes are easy on the joints but can be challenging enough to help reach new levels of fitness. Our Aqua Boot class puts together range of motion, flexibility and strengthening exercises into bootcamp style stations. This aquatic class is great for the beginner-intermediate exerciser who wants to workout in the water!